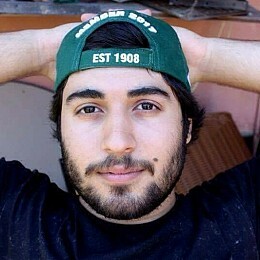 Young aspiring Rugby League Journalist with a passion for writing all things footy, music and tv. 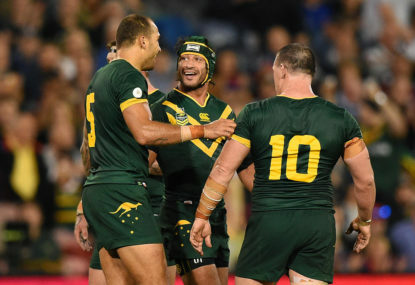 With some big potential exclusions for this year’s mid-season test, including superstars Johnathan Thurston, Matt Scott and Greg Inglis, coach Mal Meninga will have his work cut out for him when choosing a team with enough strike power to defeat the Kiwis. With the Storm maestro on his way to Sin City in 2017, here’s a look at the clubs Cooper Cronk could join in his final seasons of NRL football. Here’s a hot tip: it isn’t the Warriors. With the St George Illawarra Dragons announcing that their feeder team, the Illawarra Cutters, will be under their name and brand in 2017, it’s time for the rest of the NRL to follow suit. Rugby league may be a team sport, however there’s nothing better than a good old personal battle between players, and even coaches. Here are some of the best ones to look out for, sinister or not. Each year the All Stars concept comes under fire. There is one clear way to resurrect the contest – scrapping the World All Stars. 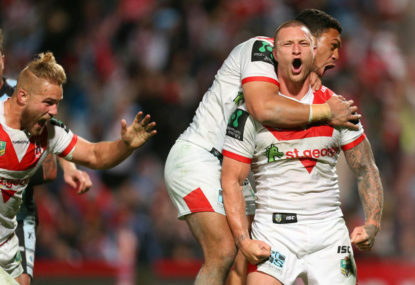 For the past few years, the St George Illawarra Dragons have struggled to score points, but could an injection of youth spark their attack and get them breathing fire again? 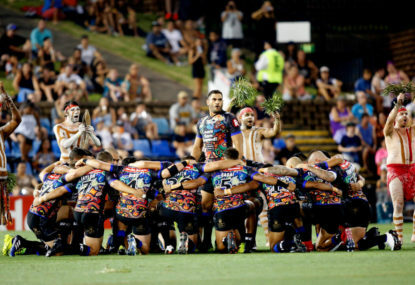 They came into the tournament without three of the starting four of their spine, but the Roosters proved that you don’t need the best to take out the Auckland Nines. With England having fallen to Australia this morning, it’s clear to see where the problems are for the Pommies, and international rugby league as a whole. If you needed a reason to check out this year’s Four Nations, it’s to see some of these guys in action. 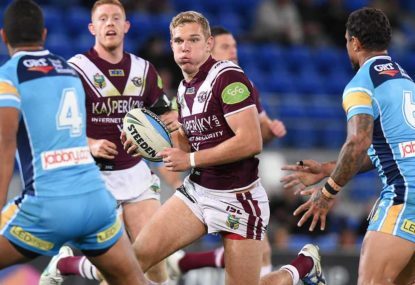 While Jake Trbojevic’s elevation into the Kangaroos squad may seem like a surprise for some, there are plenty of reasons why he and younger brother Tom are the prototypes for the perfect rugby league players. Hasler's woe: Are NRL coaches running out of ideas? Rumours are rife of Bulldogs coach Des Hasler being ousted from the club, which goes to show that players aren’t the only ones that can go stale at one club. While the NRL is a bigger and more popular competition, for those who love their footy but don’t watch any Super League, you’re missing out. Rugby league can take a lot from the Rugby Championship if it wants the international game to grow. Are the Storm the NRL's new chokers? There is always talk of the Melbourne Storm being one of the dominant teams in the NRL, but with only one legitimate title to their name in the last decade, are they really as good as we think? Take it from someone who saw their team win their first title in 43 years; grand final week is a surreal experience that should be appreciated to the fullest. 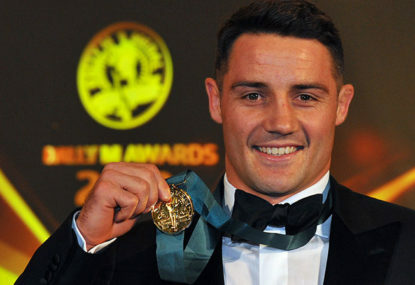 One of the best players in the NRL has made a life and career-changing decision. 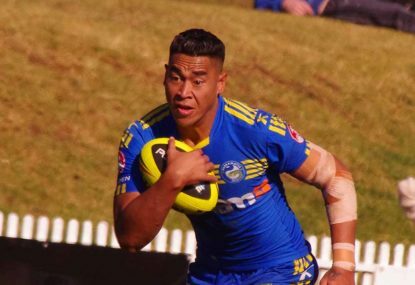 To get himself back to his best, he may have taken the biggest risk of all – signing with the New Zealand Warriors. Rabbitohs supporters needn’t look further than the last time they signed a Wests Tigers reject to bring a bit of confidence into Robbie Farah’s decision to join the club next year. While they’ve given their all for their respective clubs, sometimes players just lose their spark. As a Rabbitohs supporter I wouldn’t be pleased at all MAX haha. Honestly the whole divide between Wests and Balmain is part of the reason why the club isn’t going forward, they’re too busy looking back into the past. 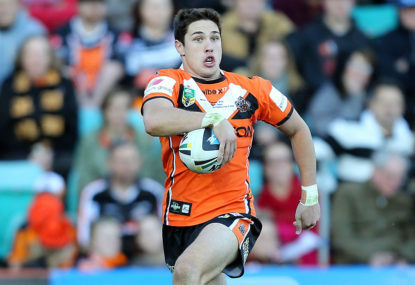 The venture is now Wests Tigers and they need their own identity. Honestly I’d consider moving them to Perth just to start afresh and keep the name; I’ve written more about this on another one of my articles if you care to read. I think Roberts would be a great signing and is coming of age and ready to lead a team around. He’s being pushed out of the Titans with Elgey and Taylor and he would be crazy not to sign with a side that will guarantee him a starting spot. As a Greek I’d love to see the sport explode there. The people of Greece definitely have the temperament and heart for it, plus we’ve seen numerous Greeks in the NRL from Braith Anasta to John Skandalis all the way back to Dr George Peponis in the 70s and 80s. I’ll die a happy man if I get to see Greece in the RLWC one day. Gotta give it to the Roosters management for announcing the signings while the Grand Final hype was around. Absolutely no media fish were biting at this bait. The Roosters have a habit of making massive purchases, having a premiership window for 2-3 years and then just copping poor performances for a further few years before restarting the cycle. It’s almost revolting the way they just expose the salary cap like that, but in another way it’s beautiful in a sense. It’s like they’ve figured out the system. Very interesting read also. I think the Roosters are the biggest signing gamblers in the NRL, this sure isn’t the first time they’ve made signings like this. I can’t see things going well for them in the future though with these guys. 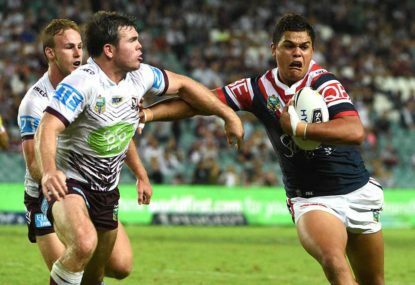 Should the Roosters re-think their 'Dickheads Policy'? Didn’t mean to twist facts, just wasn’t aware of the situation. Surely you can’t argue with my general reasons though. I think with the reduced interchange there has been less wrestling in the game which is great. Even as a Rabbitohs fan, seeing the team dominate the competition when they did with a gameplan based off slowing down the ruck was kind of boring and off-putting. It’s much better when teams are running around with the ball and actually playing footy. Onto this weekend, I have a bad feeling that the refs will let the Storm run amock with their usual bending of the rules. It’s been happening since Bellamy’s tenure started at the club and Cameron Smiths’ golden child status as well as the 300th game for Cooper Cronk will only allow them to get away with more unfortunately. Cheering on the Green Machine and the Sharkies this weekend. Why have we forgotten about the wrestling debate? As a neutral fan I definitely like seeing what the Raiders have done. It adds a little bit of spice to the pre game and revs up both the players and fans. It’d be hard for all 16 clubs to do something similar, but it would be awesome if they could. Kudos to the Ricky Stuart for completely turning things around in the ACT. It’s a good point you make there, but I think it could be exactly what the Panthers need to go up that extra gear. In the end you’re putting 3 players in their natural positions and I think it could be a gamechanger. No one would expect what to come from them and they could all produce some awesome footy. The time is now mate. 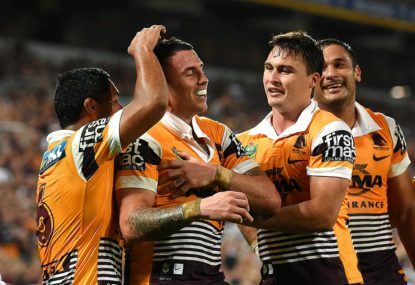 I’d love to see a NSW spine of Tedesco, Moylan, Reynolds and Peats for the future. Really nicely written Pat. I do agree with your points about player loans and an international period; definitely things we need to adopt. However, I don’t think relegation could work with the NRL. The competition is so tight and close that in a 5 year period nearly every team would be in danger or relegation and it would just throw the whole competition out of whack. Good insight though and I know where you’re coming from. There is a little bit of doubt but it’s the perfect opportunity for him to really grow as a player; which is the exact premise of my article. Sure, he could end up being a flop, I’m not discounting that at all, but realistically Tamou has all the assets to become a top line front rower for the Panthers for the back end of his career. I can understand why you think he’d be good in the centres but main argument i have against that is that his defence is needed at the back, not to mention involvement. Centre is probably the position you get the ball the least, where with GI you need his hands on the ball as much as possible. And let’s not forget Bryson Goodwin who has the left centre spot sewn up (barring his injury at the moment). I definitely think that the utility position has to go to someone that can play nearly everywhere on the pitch, which is exactly why I disagreed with Walker being selected. 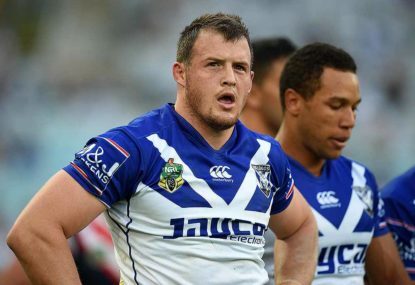 He could definitely become a great centre for NSW in the future, but a utility he is not. It was just one of the things the Blues could have done better which definitely could have been the difference between a win and a lost. Had they utilised an X-factor player on the bench and used him wisely, perhaps the scores would have been reversed. 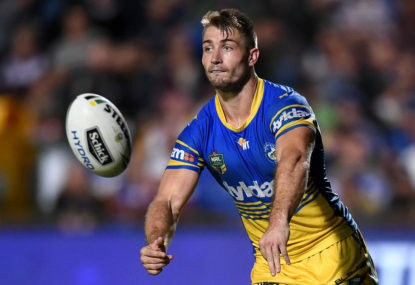 I think the fact that NSW have so many players to choose from is a double-edged sword; while there is plenty of depth, there isn’t much quality in certain positions. No one really stands out from the rest of the competition and because of that they have a tendency to keep chopping and changing. I definitely hope that we stick with our young guns though, particularly Adam Reynolds and Matt Moylan. 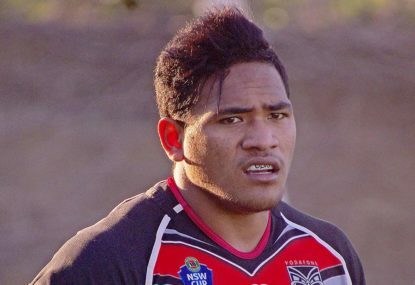 As a Souths player I believe Brown should have been charged. No place for that in our game. In regards to touching the ref, it’s just another black and white blotch on our game that we didn’t need. We really need to remind players not to touch the ref, however common sense really needs to be incurred, not to mention treating every player equally i.e. Cam Smith and Johnathan Thurston not getting charged for touching the ref but the likes of Sam McKendry getting suspended. How is touching a referee worse than stomping a player?